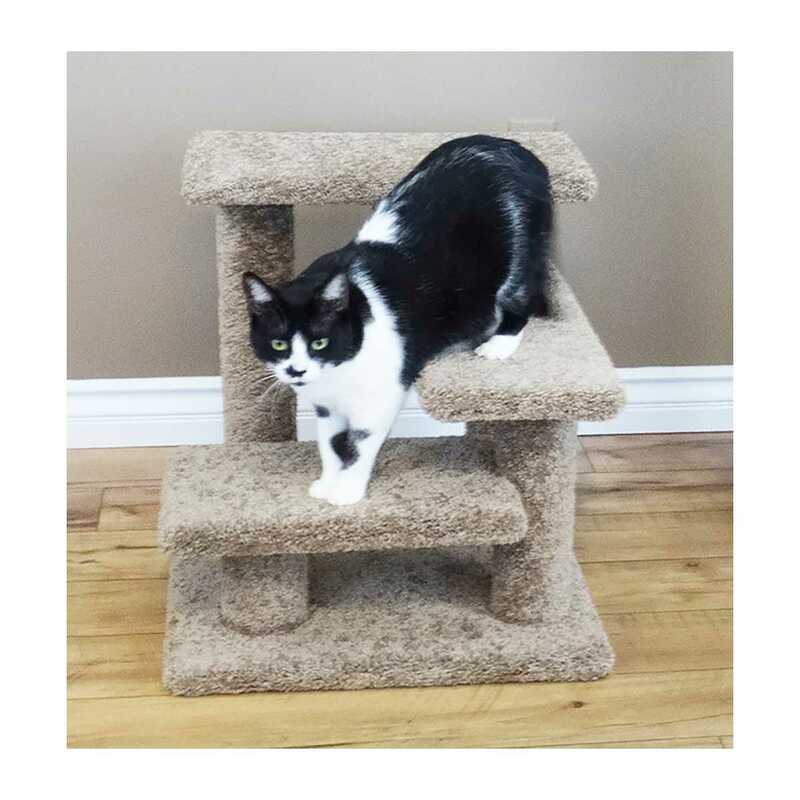 New Cat Condos Crazy Pet Steps are an awesome piece of furniture that can be used for so much more than just for your friendly feline! These stairs are constructed from wood and peeler cores for strength and durability. 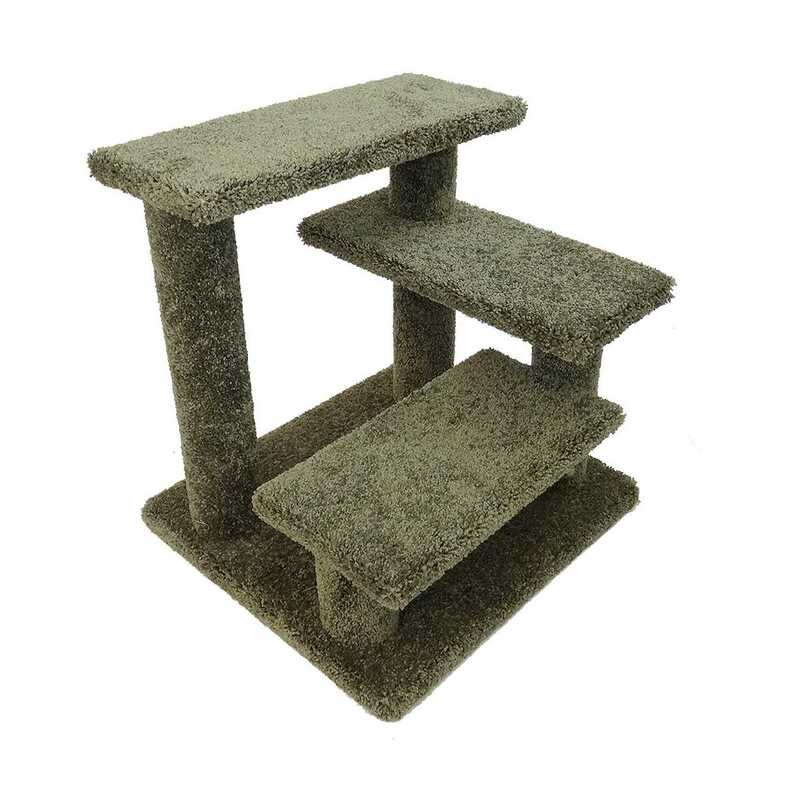 These stairs are perfect for multi-pet households for use in helping your animal reach a higher bed, or are extremely helpful for any animal with hip and joint problems. The stairs are fully carpeted with plush carpeting which helps with shock absorption, and are built tough to provide ease and comfort for years to come! 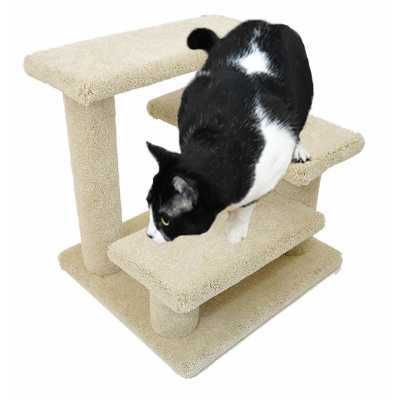 Comes in five colors to suit any decor. 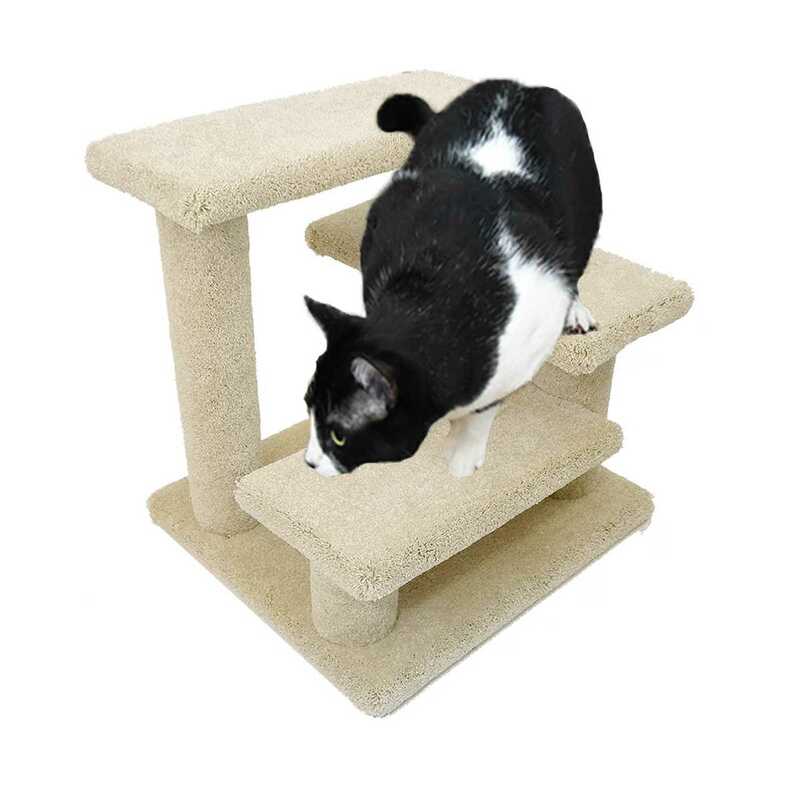 These pet stairs will arrive to you fully assemble and ready for your pets to enjoy. Crafted from solid wood and plush household grade carpet. Floor to bottom of middle step is 13"
Floor to bottom of top step is 19"
Middle and top steps are 20" x 9.5"